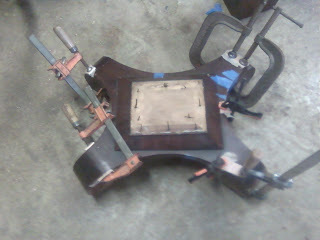 Below are several additional photos of repairs made to the two Pillar and Scroll tables I am working on. 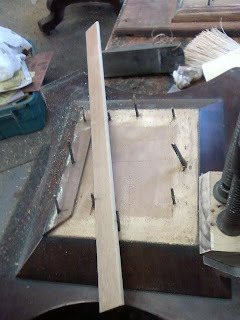 This is a photo of more veneer being glued down on the base of the two drawer stand. Gluing down more veneer. 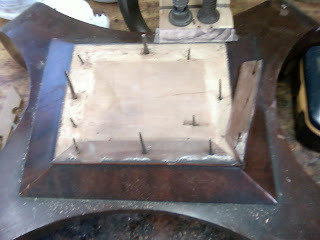 The base needed to have some molding replaced. 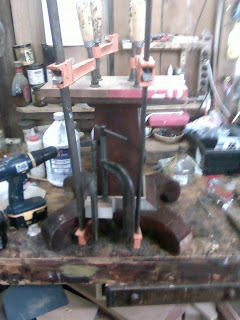 The two pieces in the photo below were used again The new piece of molding ready to be cut to shape. The new molding in place. 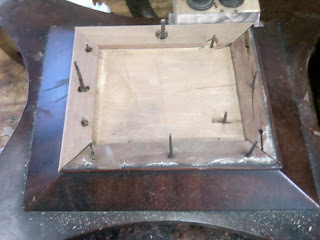 I drilled holes for the old nails to go through. they hold the piece together. 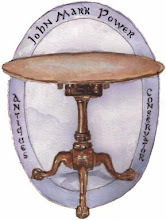 The molding is sandwiched between the base and the pillar and glued in place. 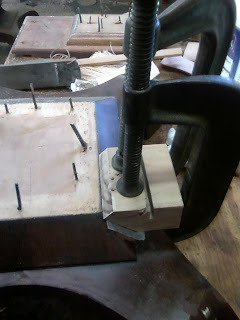 The base of the two drawer stand being glued. 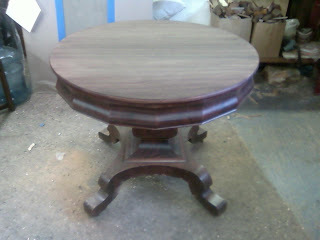 The top of the pedestal table once it has been sanded and stained. 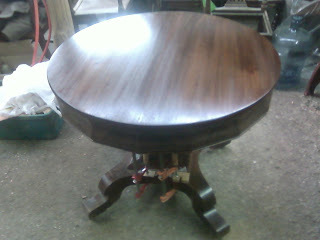 Starting to coat the top of the pedestal table in the bottom of the photo you can see more veneer being glued down.